Mellow Mushroom Pizza Bakers serves freshly baked pizzas, salads, munchies, specialty pies, hoagies, and calzones. The brand is known for its gourmet pizzas and beers. 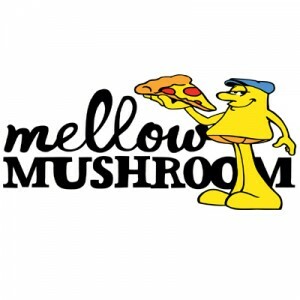 Based in Atlanta, GA, Mellow Mushroom was first established as a small pizzeria in 1974. This restaurant chain operates under the management of Home Grown Industries, Inc. of Georgia. So far, the company has more than 150 locations all over the United States. Each franchise has friendly staff who help the company satisfy families and circles of friends by providing good food and service. In return, Mellow Mushroom Pizza Bakers provide good compensation and benefits packages to all employees. Part-time workers enjoy flexible scheduling and opportunities for promotion. Full-time workers receive paid vacation, paid time off, healthcare coverage, 401(k) retirement plan, and medical insurance. Many people love working at Mellow Mushroom Pizza Bakers as they show true care for employees. The company lets both part-time and full-time workers enjoy work-life balances aside from getting good salary offers and benefits. How old do you have to be to work at Mellow Mushroom Pizza Bakers? Interested applicants should be at least 18 years old to qualify for entry-level positions. Candidates must also have college or high school diploma or equivalent. Servers: Friendly servers working in this restaurant chain take guest orders accurately and instantly. They can efficiently handle every customer inquiry because they memorize all details about the menu items. Aside from taking the orders, servers clean and prepare the tables by setting the plates, napkins, and cutlery. Hosts/Hostesses: Hosts/hostesses are held responsible for showing excellent customer service and ensuring customer satisfaction. Their job is more on interacting with guests who come in and out of the restaurant. Hosts/hostesses will bring guests to untaken tables, take their orders, and give the estimated waiting time for their food and drinks. Bussers: Bussers are mostly part-time workers. They handle things like cleaning the tables and restocking the plates, glasses, and cutlery. Their main job is to keep the entire dining area clean, presentable, and always ready for incoming guests. Therefore, their job involves emptying trash cans and sweeping the dining area and service aisle. Bartenders: Bartenders serve both alcoholic and non-alcoholic drinks. They offer a special menu for all drinks that may include beers and cocktails. After that, servers will take the orders for drinks and relay everything to bartenders. Just like the servers, bartenders are expected to work with rapidity and accuracy. Dishwashers: Their job is free from customer interaction. Dishwashers spend the whole shift in the kitchen to wash all used plates, cutlery and utensils. They wash everything either by hand or using dishwashing machines. Dishwashers follow a set of sanitation rules to keep everything clean and germ-free. Prep Cook: This position doesn’t involve customer interaction as well. A prep cook will help the pizza chef prepare pizzas, munchies, specialty pies, hoagies, and calzones. His job involves washing and slicing the vegetables and preparing other ingredients for each recipe. When cooking is over, he takes care of the leftovers, used cooking tools and waste. Pizza Chef: A pizza chef prepares and cooks different pizza recipes. His job involves preparing the kitchen for everyday business at the start of his shift. The prep cook works closely with him to prepare hot pizzas by order and clean the kitchen before the restaurant closes. Kitchen Managers: Kitchen managers oversee what’s in the kitchen. They work closely with prep cooks, pizza chefs, and dishwashers. They command everyone to follow food safety and cleanliness policies. They also train new employees, observe their performance, and recommend them for promotion if they have met the criteria. Assistant Managers: Assistant managers supervise the recruitment process. They hire and train new team members, observe their performance, and suggest hardworking staff for promotion. They take charge and manage everything in the absence of their managers. Their job also involves customer interactions and dealing with customer complaints. Restaurant Managers: Above all positions available, the restaurant managers have some of the biggest responsibilities and daily tasks to accomplish. They manage things like performance appraisals, supply ordering, and payroll processing. They also hire, train, and supervise the assistant managers, dishwashers, bussers, and other entry-level employees. When dealing with customer complaints, restaurant managers would do everything to make complaining guests happy in the end. People may visit the company’s website and view the careers section to know the current job openings. Or, they may drop by at the nearest restaurant and look for the hiring manager. Recruitment begins with filling out the application form so you must pay attention to it. All applicants should fill out the provided form with correct and accurate basic personal details like their address, date of birth, and contact number. Candidates must also take extra care when filling out the hiring form. Keeping it free from erasures and incorrect entries is always important. Once done, applicants will submit the accomplished form together with their resume. The same rule applies to resume. Candidates should ensure their resume is free from incorrect entries. Also, they must keep it simple, neat and presentable. Qualified job aspirants will receive a message about the interview a few weeks after submitting their application. They should dress appropriately when attending the interview and answer interview questions with confidence. This way, they’ll more chances of getting hired. Mellow Mushroom Pizza Bakers offers a fun and relaxing work environment for all employees. They know how important the work-life balance is for their employees. So, they let everyone have time for relaxation and fun. With their continuous success, the company will be having a new restaurant in Williamsburg, Virginia. The management said it would open in mid-2018. The new restaurant will offer a fantastic menu featuring gourmet pizzas, salads, calzones, and more. Mellow Mushroom Pizza Bakers is known for their mouth-watering gourmet pizzas, more beer versions and guaranteed fast processing for online orders. Also, each location shows up with a unique dining ambiance since each restaurant is privately owned. Further, they give back to the community through organizing entertainment programs. Many restaurant locations let customers join in events and games like bingo, trivia, or poker night. Sometimes, the restaurants are used as performance venues with karaoke and live music. 1 How old do you have to be to work at Mellow Mushroom Pizza Bakers?